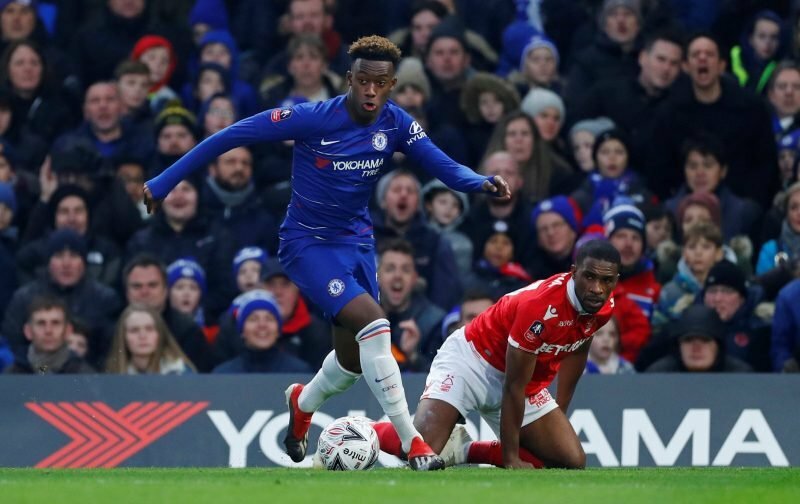 Yesterday, with Chelsea entertaining Nottingham Forest in a 3rd round FA Cup tie, at Stamford Bridge, a tie they won 2-0, Callum Hudson-Odoi played a prominent part in ensuring that Chelsea reached the fourth round. Hudson-Odoi, given a rare start, provided the assists for both of the goals, scored by Alvaro Morata. In doing so, Hudson-Odoi became the first teenager to provide two assists for goals in a match since Scott Sinclair, another exciting teenage prodigy, did in October 2007. Sinclair, who gate-crashed the first-team, under Jose Mourinho, but who never really made the grade after suffering a fractured foot, courtesy of a tackle by Wes Brown, against Manchester United, left the club to seek a golden future elsewhere. Similarly, there is speculation doing the rounds that Hudson-Odoi is looking to do something similar and with eighteen months left on his current contract, is refusing to put pen-to-paper on a new deal. There is no doubt that Hudson-Odoi is a talented youngster, otherwise, Bayern Munich wouldn’t have been keen to offer Chelsea £30 million for his services, Click Here, but a lack of regular first-team football appears to be the driving factor in Hudson-Odoi’s quest to leave. “I know Bayern are interested in him, but we are as well. “We have had a contract with him for a while and we will see what the player wants. “For 18 years old he has a lot of potential. You have to understand the journey is not finished, he has to have a good attitude. “He did very well; it was a very good performance – two assists and he worked very hard defensively. But, with Bayern Munich dangling a huge carrot in front of Hudson-Odoi and selling him the possibility he has the ability to succeed Arjen Robben, at the Allianz Arena, plus with Christian Pulisic set to offer further competition for a place in the starting eleven next season, I get the impression persuading Hudson-Odoi to stay will be a challenge and a half. Do you reckon Hudson-Odoi will remain at Chelsea?